Seaview Estates is located in a lovely, quiet residential neighborhood of tree-lined streets, charming single-family homes, warm neighbors, good schools and a beautiful park right across the street. Bordered by an inlet of Jamaica Bay, Seaview Estates has unobstructed, tranquil panoramic views. And because this condominium residence is conveniently located near bus and subway lines, it is an ideal place to live. Seaview Estates is in close proximity to the new Gateway Mall (exit 15), and several supermarkets and shopping areas. Pathmark and a number of specialty stores are located on Flatlands Avenue. Key Food, Radio Shack, many convenience stores, fast food restaurants and banks are within blocks of the property. L train to Canarsie / Rockaway Parkway (last stop). The stop is between Glenwood Road and Farragut Road. It is a 5 minute drive from Seaview Estates by car; or take the B42 bus. The L train goes northwest through Brooklyn and then west across Manhattan to 8th Avenue with connections to other subway lines. B6 - runs from Bay Parkway to Flatlands Avenue. B17 - runs from Remsen Avenue to Seaview Avenue – stops across the street from Seaview Estates on East 108th Street (last stop). B42 - connects with the L train (Canarsie / Rockaway Parkway). Go to Rockaway Parkway. 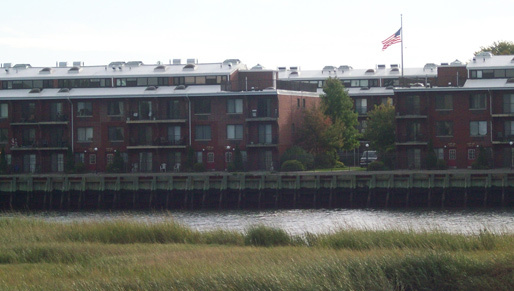 5 minute walk from Rockaway Parkway stop to E 108th Street. B82 - runs from Bay Parkway to Flatlands Avenue and through southwest Brooklyn. Command Bus - There are Express Buses to Downtown Brooklyn or to Lower Manhattan, Midtown, and Uptown. The bus stop is at E 108th Street and Avenue M (5 minute walk). There are numerous car companies, charging $4 to $5 for a ride to L train, a 5 minute ride.